Tamarack House is in a great location, close to restaurants and shopping! Set a little ways back from the road, Tamarack House is nestled in the tall pines of Tamarack RV Park. Tamarack House has a queen bed in each of the 3 bedrooms, a cozy living room with gas fireplace, a dining room with big sunny windows, a large bathroom with tub/shower combo, and a fully equipped galley kitchen make your stay enjoyable. The couch in the living room also converts into queen sofa bed. Enjoy the propane BBQ in the Camper's Patio and be delighted by the waterfall and pond. Since this is private property, please remember No Pets/Service Animals and No Smoking in any of our park buildings. Drive 15 miles north to Silverwood, the best theme park in the Northwest. Go 2 miles in the other direction and hit Coeur d' Alene Lake where you can fish, swim, boat, water ski, or just enjoy the scenery! Hi! We are a family of six from SE Washington. We run a couple of campgrounds/RV parks: Tamarack RV Park in Coeur d’Alene, Idaho, and Beach RV Park in Benton City, Washington. We love traveling, camping, and sailing. 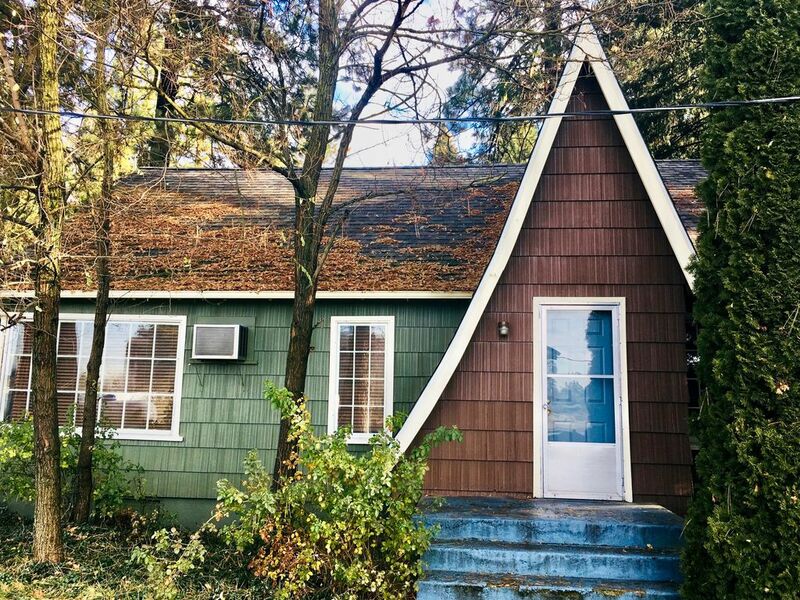 This house is on Government Way in Coeur d'Alene, in a prime location close to Costco, Black Sheep Warehouse, and Safeway. It's centrally located between Lake CDA and the town of Hayden Lake. We love the water of the lake, and the convenience of the surrounding shops and stores! We own and operate Tamarack RV Park just behind this house, so it was natural for us to offer this house to guests who enjoy the comforts of kitchen and couch and patio when traveling. With this vacation home, you can enjoy the quaint, brickstone Camper Patio with picnic tables and flower planters, in the center of our Tamarack RV Park. It is a comfortable gathering place for your family or group. Enjoy cooking on the BBQ grill or watching our pond waterfall. Tamarack House is also a great jump-off location for exploring Silverwood 15 miles to the north. Or drive east to Kellogg, Idaho, to enjoy a gondola ride up the hill to silver mines and explore an old west town! Farragut State Park is also close by. One block to Costco; K-Mart; Sports Warehouse; Safeway. The house was in a quiet area with tall trees for shade. It was right off of 1-90 and close to places to eat. We went to Silverwood Theme Park and it was an easy ride there. The house was very clean and had everything we needed for a pleasant stay. I read where someone else was unhappy because it is in an RV park. If she wanted to be in the wilderness she could have. We thought that it was great for what we needed and quiet. Great place if you don't mind being in a RV park. Very comfortable and quiet. Centrally located to everything. Had a wonderful experience. I would definitely book this again. The office was very attentive to our needs. Started rough but ended smoothly. Our stay started off in not a great way but ended in a memorable and lovely time. We will definitely come back next year. Thank you again for accommodating me and my family. Cancellation policy for Iron Man week - must request cancellation 45 days before beginning of Iron Man week reservation. Cancellations anytime up until 30 days prior to your stay will be cheerfully refunded minus a $10 processing fee. If the situation requires, we reserve the right to insist on a Two-night minimum stay for Fri and Sat nights. This online reservation software system has a glitch, in that it says it charges for extra adults, but says nothing about extra children. We consider children to be as human as adults, and provide extra linens and bedding for them as well. When making your reservation, please count each child as an "adult"...that will give you the correct price for your stay. Feel free to contact us if you have any questions.